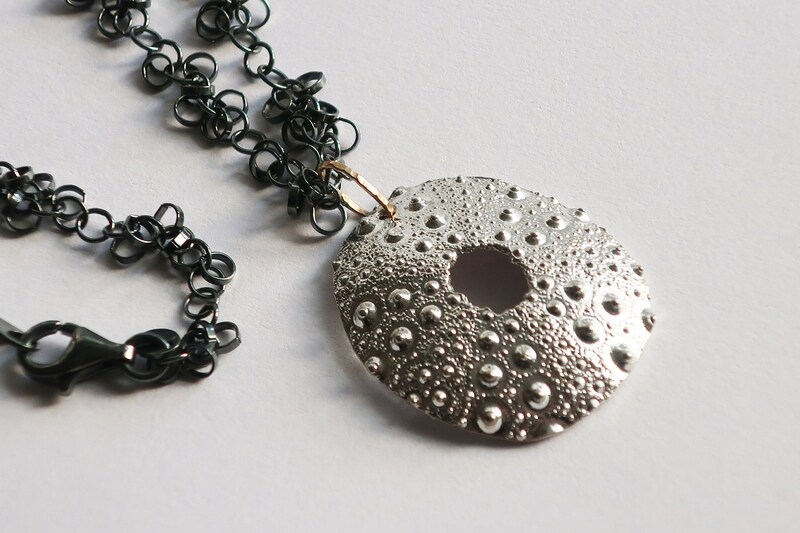 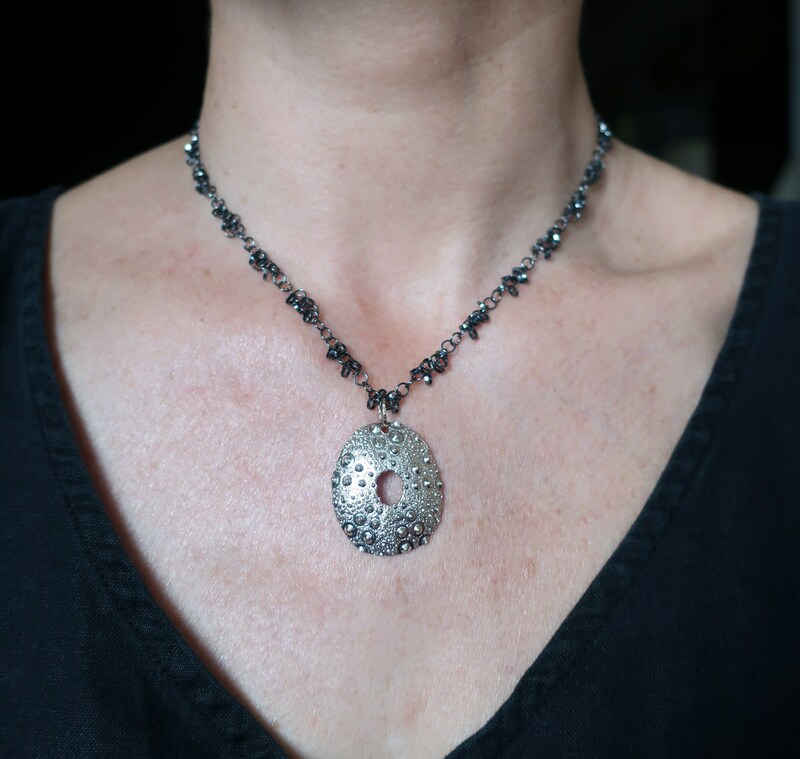 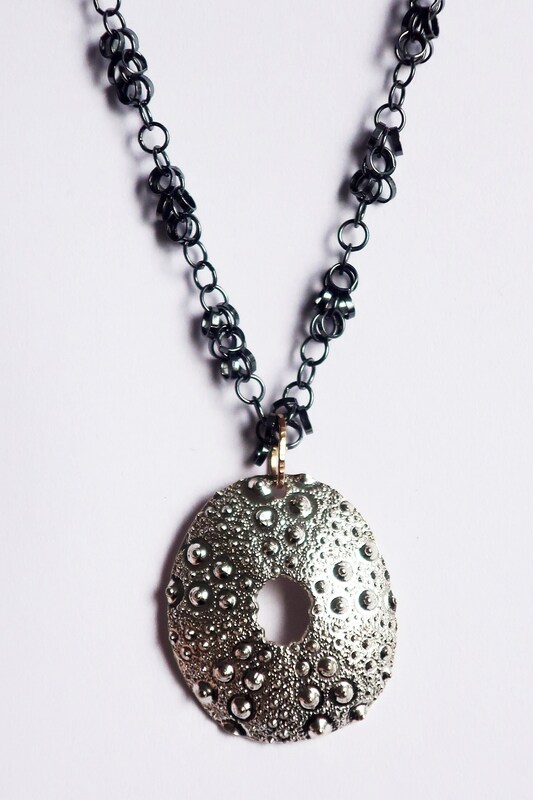 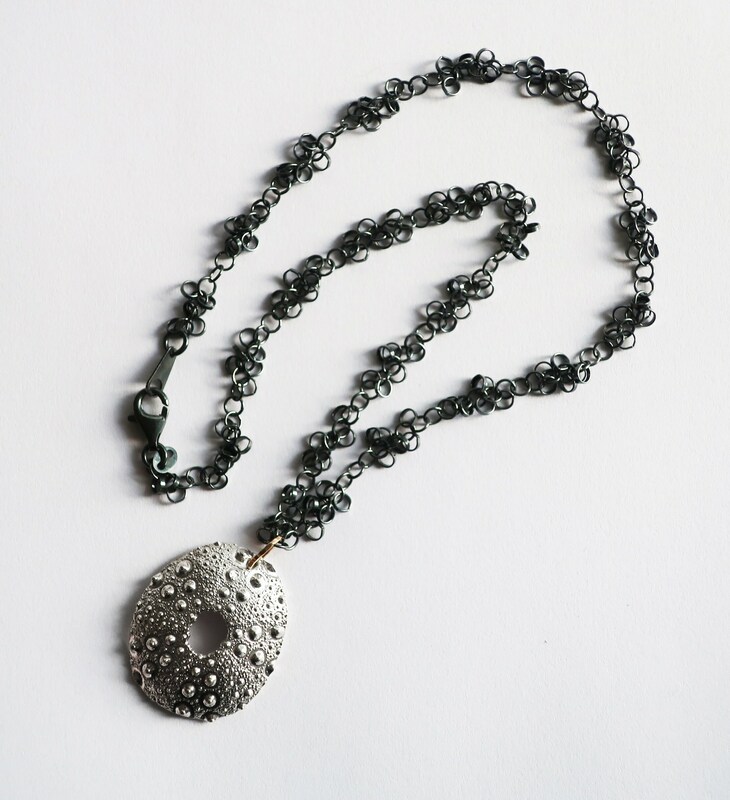 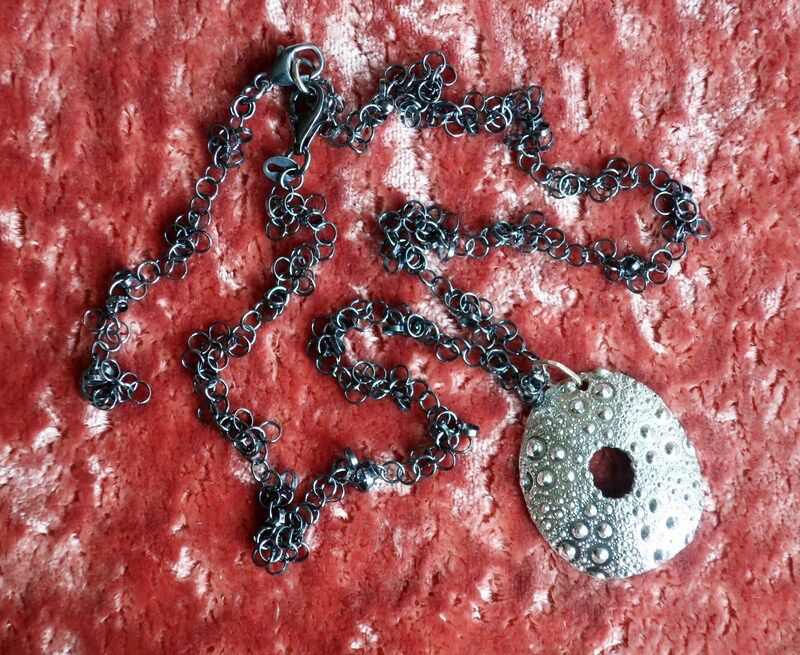 A strikingly textural Sea Urchin necklace! 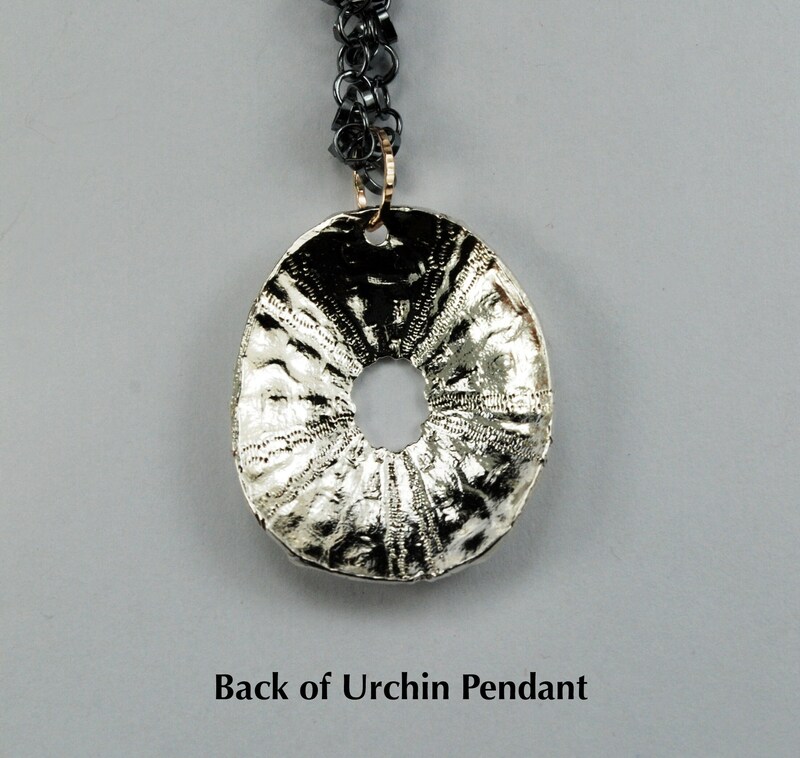 The solid cast white Sterling Silver Sea Urchin is hung with a 10k yellow gold hammered jump ring on a 16' (40 cm) blackened Sterling Silver alternating ringlet chain. 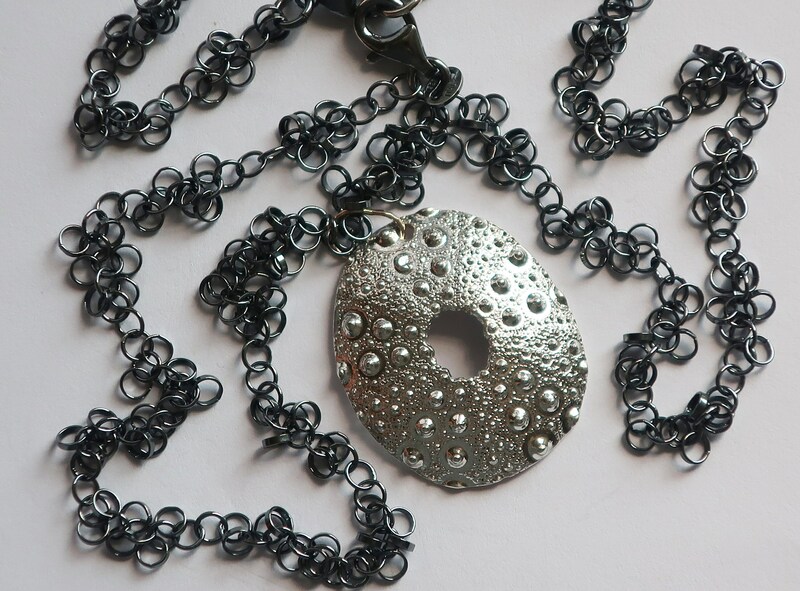 It can also be made with a white silver ringlet chain (instead of the blackened chain) and can be purchased with a 2" extender as well (please see options).